Classic custom wheels are tough to find these days and pairing them with a classic BMW makes for the perfect combo. These HRE RS100 wheels are quite classy in its design, but very modern in what lies beneath the slick exterior finish. Thee three-piece forged wheels come in sizes of 18, 19, 20, 21 and 22 inches and provide a custom solution for luxury and sports cars . 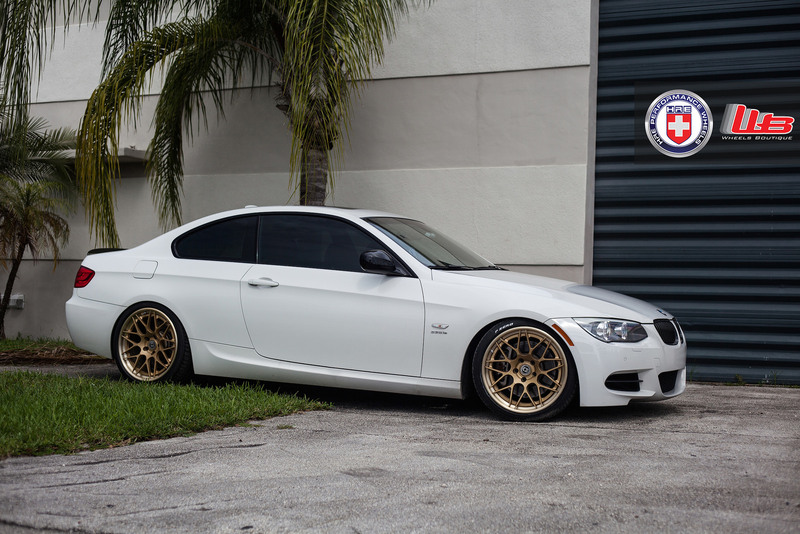 This owner decided to pair his Alpine White BMW E92 335is with this set of HRE RS100 wheels which are lightweight, feature the well-known mesh design and come with a custom configuration that allows them to sit nicely with this Alpine White beauty. The E92 335iS might not have been the most popular 3 Series, but certainly one of the most fun to drive and the closest BMW to an M3. 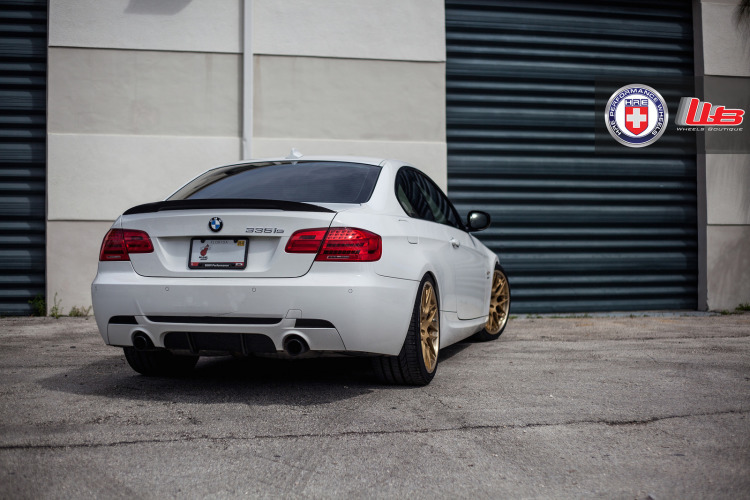 The car bolstered a modified N54 engine with increased power to 320 horsepower and 332 lb-ft of torque (370 lb-ft of torque with overboost), optional 7-speed Double Clutch Gearbox (DCT) with Launch Control, and other special equipment. Released back in 2011, it certainly needs a bit of an aftermarket modding touch to stay relevant. 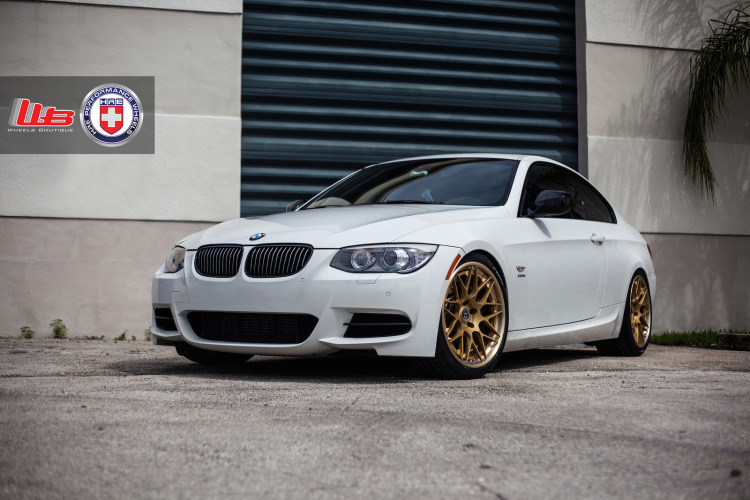 These HRE Wheels, installed by Wheels Boutique, do make a perfect choice for updating the exterior of this vehicle. 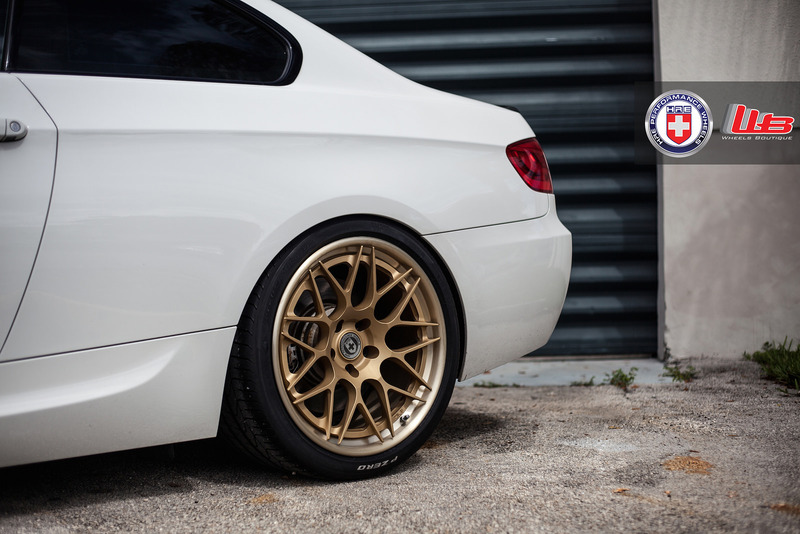 The HRE wheels are 19×9.5 inches and 19×10.5 inches front and rear, respectively, and painted in Sating Gold.